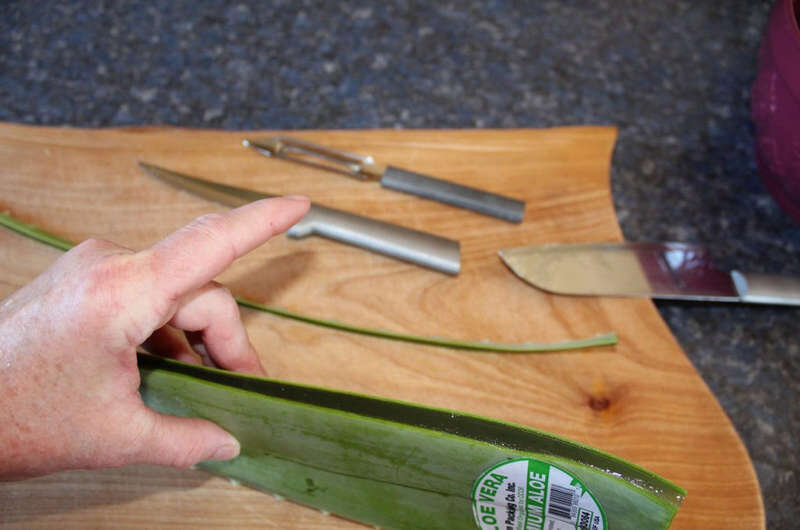 As I was strolling into my neighborhood health food store this week, with my list of two or three things, I stumbled across an offering of large aloe vera leaves in the refrigerator section! These dudes were crazy big! And for $1.99 each, I just had to have one! 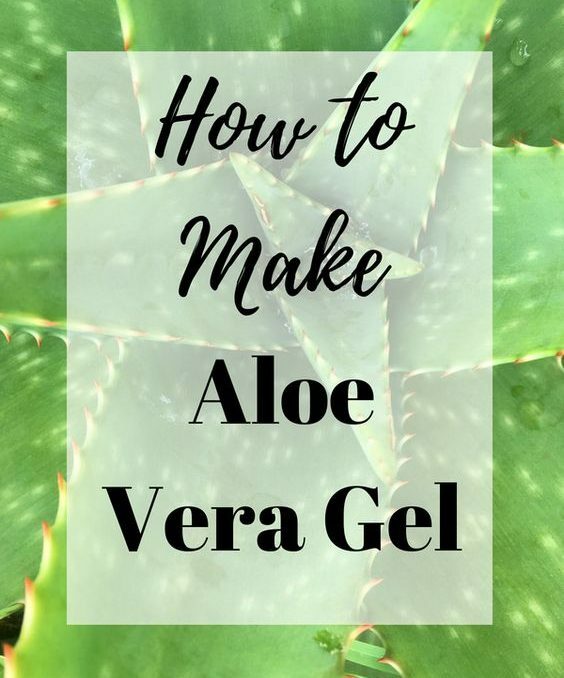 Let me show you how easy it is to learn how to make aloe vera gel! Now, being no stranger to aloe vera, remember I grew up down south, I was thrilled. 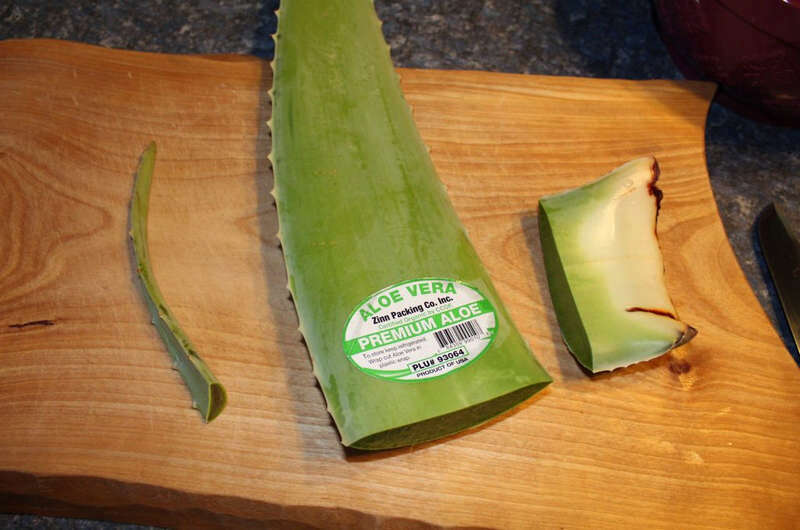 Aloe vera gel has so many uses, it’s ridiculous, but let’s start with how to peel this bad boy and extract that awesome gel. 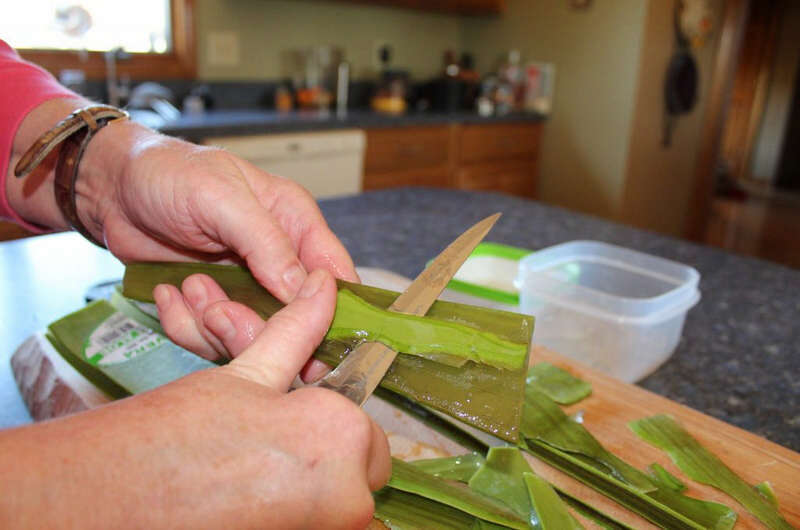 First, let’s cut the bottom of the leaf open and let it drain. 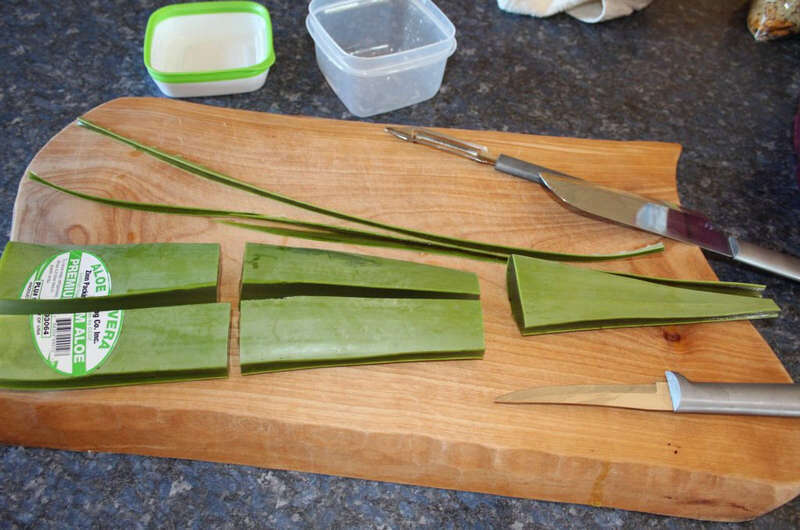 The leaf contains resin, which can be irritating to the skin, so let it drain for an hour or so. It’s just a bit of yellow stickiness, so just clean your bowl after. Peeling is next, and I’ve seen this done many ways. I prefer to peel with a knife, but do what you prefer. Just be sure to capture as much gel as possible by not peeling too thick. You can use a peeler or a knife, just be careful. 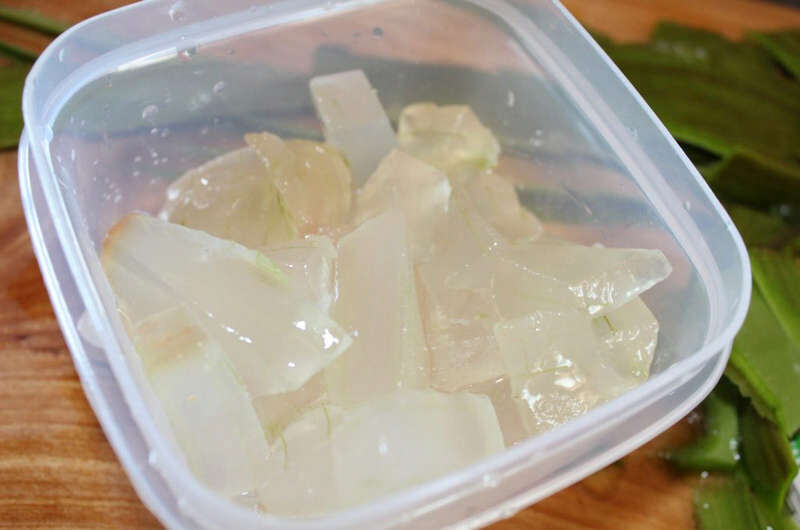 As you finish peeling each section, cube the gel and put into a clean container. How fabulous is this? 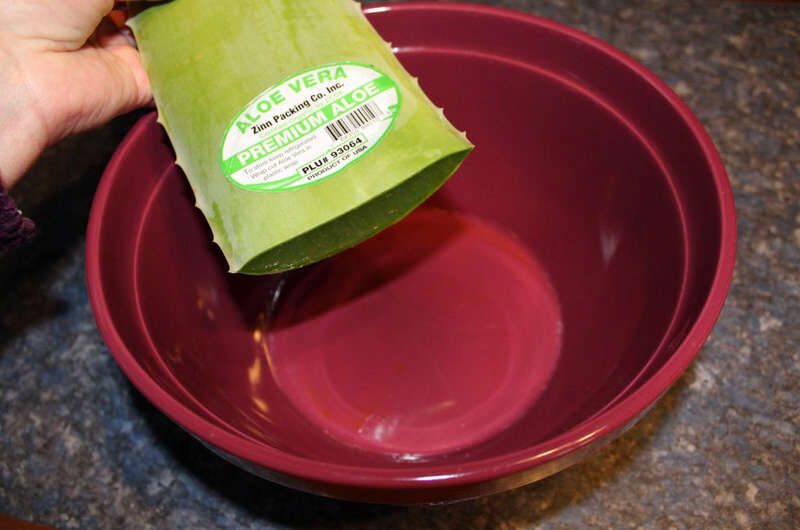 Think about how much aloe vera gel costs at the store, and you’ll be thrilled to realize that you’ve just made about 8 ounces of pure aloe vera gel for $1.99! 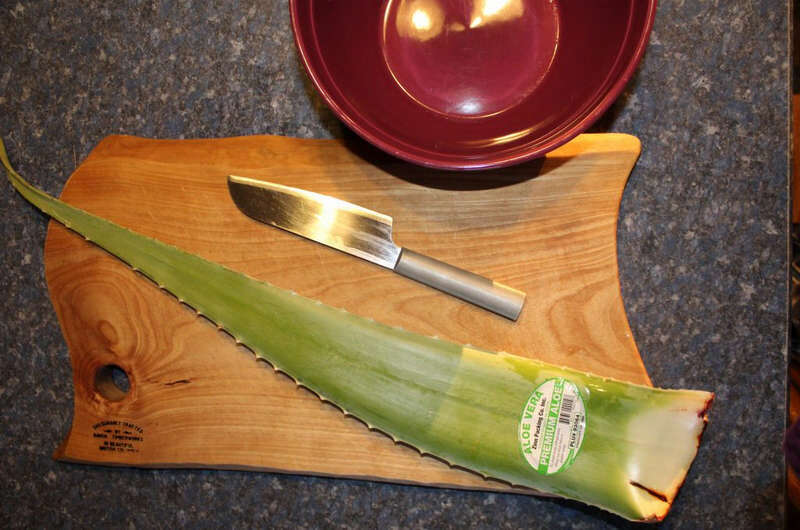 Here are a few links to read about all the wonderful uses for aloe vera, here, here and here. Now, don’t throw those peels away, they are good for acne as well as puffy under-eyes. Enjoy! Hey Carolyn! Thanks for commenting! 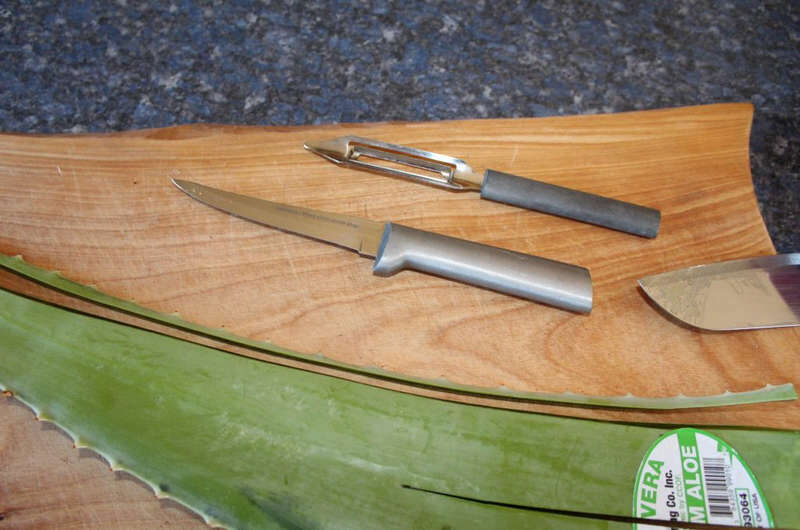 I remember growing up in Florida, we had aloe vera in abundance, envying you! Oh, I love this! I have a huge aloe vera plant on my front porch that I mostly use for sunburn. I have a sister who drinks it for the health benefits so I’ll have to try that. I especially love the potato peeler suggestion! Something so simple I would’ve never thought of, I’ll be trying it next time I snip an arm off the beautiful, spiky plant. Hey Chelsea! Thanks for commenting! I really miss having them growing in the landscape from my Florida days, I have to pay for them now, lol! I love aloe vera gel. This looks so simple. My question is how do you store it and how long does it last? Hey Lisa! 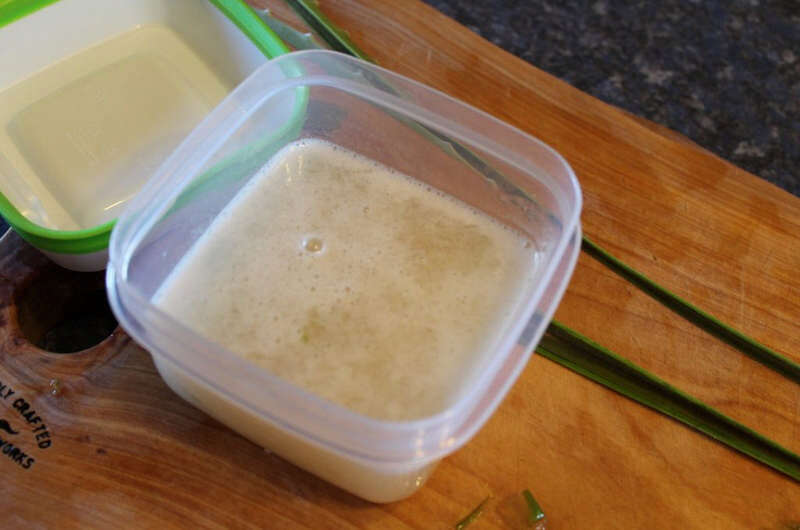 You can store it in the frig for about 2 weeks or in the freezer for longer! Good luck! This is FABULOUS! I need to go buy a plant. Susan, thank you for reading and enjoy!